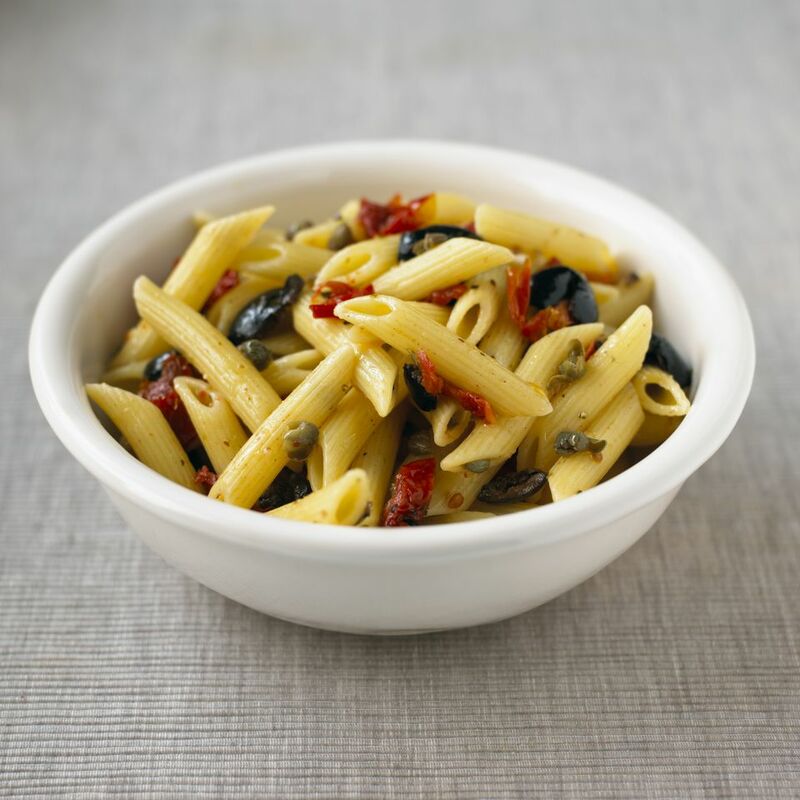 Pasta is stir-fried with the rich flavors of pine nuts, sun-dried tomatoes, herbs, and Parmesan for a quick meal. You can have this easy pasta dish on the table in less than 30 minutes. Good as an entree with a salad and bread or use as a side dish. Be sure the pasta is well-drained. The oil will spit and pop when it contacts water. Heat a large, heavy skillet over medium-high heat. Add 3 tbsp of the olive oil and swirl to coat the pan. Add the well-drained pasta and stir-fry until pasta begins to brown at the edges. Remove to a large bowl. To the skillet, add the remaining 2 tbsp of olive oil. Stir-fry the pine nuts and sun-dried tomatoes for 1 minute. Add to the pasta along with the parsley, basil, and Parmesan cheese. Sprinkle with kosher salt and freshly ground black pepper. Simple Three Ingredient Recipes are Delicious and So Fast!